Hair loss in children is a more prevalent occurrence than most people imagine. Currently children's hair loss is responsible for approximately 3% of all pediatric office visits in this country. 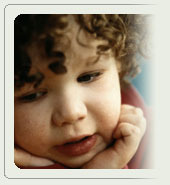 The American Hair loss Association recognizes that children's hair loss can be an extremely devastating issue.